Is QuietWarmth floor heating suitable for luxury vinyl plank? Will QuietWarmth Heat Up My Room? 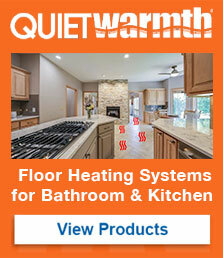 Do You Need QuietWalk with QuietWarmth Floor Heating System?